Communication and cooperation between prosthodontists is as old as the specialty itself. While groups of countries had formed prosthodontic societies, the need for a worldwide organization was generally recognized. Answering this call, the American College of Prosthodontists appointed a special sub-committee under the chairmanship of Jack Preston. In November 1982, the British Dental Association (Metropolitan Branch) arranged an International Prosthodontic Symposium under the chairmanship of Harold Preiskel. At an informal session before the meeting, colleagues from more than 24 countries expressed enthusiasm and promised support for the establishment of an international organization to represent prosthodontics. The degree of commitment expressed by all at this meeting surprised even the organizers. A steering committee, appointed to investigate the feasibility of setting up an international organization, was composed of members from seven countries: Sweden (Bo Bergman), Australia (Lloyd Crawford), the U.K. (the late Rowland Fereday, William Murphy, Harold Preiskel), Japan (Makoto Matsumoto), the U.S.A. (Jack Preston), Switzerland (Peter Scharer), and Canada (George Zarb). Despite the problems of widely differing time zones and the considerable cost involved, communication between members was established and maintained. During this initial phase, the outline plans for the organization were established, and the first meeting of the steering committee took place in October 1984 at a hotel near Heathrow Airport. It was attended by Rowland Fereday, Harold Preiskel, Jack Preston, Peter Scharer, and William Murphy. A telephone conference link was arranged with Lloyd Crawford in Australia. The group unanimously agreed to name the organization "The International College of Prosthodontists": "college" to describe a group engaged in a common pursuit, and "prosthodontists" (rather than "prosthodontics") to distinguish the members as specialists. The aim of this college was to be academic rather than social. "Prosthodontics" was understood to encompass the disciplines of fixed and removable as maxillofacial prosthetics. The organization's goal was to become truly international; the establishment of the specialty in all parts of the world would strengthen each individual section and confirm universally, that prosthodontists are specialists. At the London meeting, officers were nominated and an adhoc board selected Harold Preiskel as chairman, Peter Scharer as treasurer, and Jack Preston as secretary of the ICP. Bo Bergman, Lloyd Crawford, Makoto Matsumoto (acting on behalf of the president of the Japanese Prosthodontic Association), and George Zarb completed the ad hoc board. Charles Bolender and Sumiya Hobo were appointed to the advisory board. The International College of Prosthodontists was to be funded by its members through an initiation fee and annual membership dues. The annual subscription fees were designated not to cover symposia or conferences, but to fund the maintenance of the college. The officers paid their own expenses unless they were underwritten by a sponsoring organization. The European Prosthodontic Association offered its support, and the American College of Prosthodontists strongly encouraged the formation of the International College by providing financial as well as organizational backing. The British Society for the Study of Prosthetic Dentistry voted to support the concept and aims of the ICP and to be involved with its founding. Following this inaugural event, the American College of Prosthodontists invited the ICP to cooperate in its next annual session in October 1985; this meeting was thus established as the venue for the first gathering of the International College of Prosthodontists. The following year, the European Prosthodontic Association invited the ICP to participate in its meeting at Oxford, England. The first independent meeting of the ICP was scheduled to be held in Interlaken, Switzerland, where a session would be devoted to addressing the academic, political, and developmental needs of the group and its many members. The Seattle meeting, held in conjunction with the American College of Prosthodontists (ACP), was "prosthodontics at its best." The ACP was a most gracious host; its members offered a warm welcome to the many representatives of the ICP. The American members presented excellent papers and table clinics, and international founding members and promoters of the ICP were the featured speakers on the final day of the meeting. A "Tour d'horizon" on international activities in prosthodontics was not only well accepted by the American hosts, but offered a good preview of the high level of prosthodontics that could be discussed within the ICP in the future. The well received program introduced the ICP in a manner in which all could be proud, and the large number who participated in the official founding banquet gave evidence of the high level of interest in and support of the college. During this meeting, the Executive Committee met to finalize details of the organization, to decide what activities to engage in over the next 2 years, and to select a team to design the college logo. It was also agreed that every member should present a free paper or table clinic over the course of the next three meetings. The second meeting of the ICP was held in Interlaken, Switzerland, under the excellent direction of Peter Scharer and his team. In opening the congress, Chairman Harold Preiskel challenged members to consider new ways of achieving the aims and goals of the college. He also announced the formation of subcommittees whose purposes were to facilitate the exchange of scientific information, determine internationally recognizable levels of prosthodontic practice and standards of undergraduate and graduate training, and to address organizational and communication problems. By now, the membership of the college spanned every continent of the world, and the chairman expressed the hope that all members would take advantage of the opportunity to exchange views and knowledge and to establish lasting bonds. The program was designed to provide all participants with an overview of the clinical and research activities of college members. Free communications, table clinics, discussions, and a trade exhibition completed the opportunities available to those attending the congress. At the general meeting, the draft version of the constitution and bylaws was approved as an interim document, together with the policy to admit as Fellows members who had completed a formal, acceptable (as determined by the Credentials Committee) prosthodontics training program until such time as the ICP had established its own certifying examination structure. Those who had made a significant contribution to prosthodontics might be considered for supporting membership, while affiliate status would be available to students in formal prosthodontic training. The officers were instructed to appoint their chairmen expeditiously. There was considerable sentiment among members not only to maintain the requirement for advanced training as a criterion for membership, but to charge the Education and Advancement Committee, chaired by Peter Scharer, with the important task of establishing criteria for advanced training and to proceed with the development of a certifying board. Finally, The International Journal of Prosthodontics was voted the official organ of the ICP, and the college agreed to serve as sponsor of the journal. The social program included a welcome party at the Casino Interlaken, a boat excursion on the S.S. Blumlisalp, a coach trip to the open-air museum in Ballenberg followed by a delightful dinner in a mountain restaurant, a grand gala dinner in the Casino Interlaken, and a farewell party on the terrace of the Hotel Beau Rivage. The meeting of the ICP was attended by approximately 400 people from 26 countries representing every continent of the world. There was a superb spirit among those attending, and the first solo meeting of the ICP was deemed a great success. 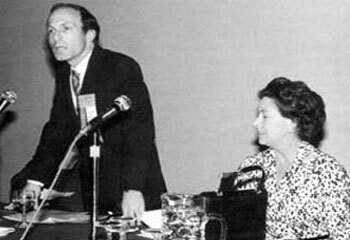 George Zarb and his hardworking committee arranged the third ICP meeting at the Four Seasons Hotel in Toronto, Canada; this meeting was held in July 1989 in conjunction with that of the Association of Prosthodontists of Canada. Clinical presentations covering diverse aspects of prosthodontics were given by clinicians from around the world. Symposia on gerodontology and on bioengineering in prosthodontics were held. A specialist panel produced a rational and compelling synthesis of what the dentist and researcher should know about the impact of implant prosthodontic research. (In retrospect, many of these conclusions have proved to be farsighted). As a prologue to the meeting, the panel considered four general questions on this issue; as an epilogue, these questions were answered. Social events included a cocktail party and a dinner dance preceded by a delightful piano recital. The fourth ICP meeting was held in September 1991 in conjunction with the 86th conference of the Japan Prosthodontic Society. It took place at the International Conference Center in Peace Memorial Park, Hiroshima, Japan, under the heading "The World Congress on Prosthodontics." The main theme of the congress was "Advanced Prosthodontics Worldwide," and its aim was to discuss advanced knowledge in the field of prosthodontics and to encourage communication around the world between colleagues who share that interest. Professor Tsuru and his dedicated committee worked long and hard to produce the largest prosthodontic meeting ever held in Asia, attended by well over 2,500 delegates. Sumptuous banquets of exotic foods complemented an all-embracing scientific program that was supported by simultaneous translation together with a mobile trouble-shooting team. The staggering program culminated in a ceremony during which Harold Preiskel appropriately removed his much-admired presidential badge and installed Peter Scharer as the incoming president. The delegates then adjourned for a half-day boat trip to the Inland Sea. Within the short period of 3 months, the reports and proceedings of about 300 papers were published in hardback form. The success of this meeting firmly established the ICP in Asia, to say nothing of the rest of the world, and eventually led to the formation of the Asian section. Although intended as a small members-only meeting, additional accommodation had to be sought for the 300-plus delegates who arrived at Burgenstock, Switzerland, in September 1993. Professor Scharer and his committee produced a cohesive and well-organized program. While the weather was beyond their control, the rain and mist outside contrasted sharply with the warmth of the welcome and the delightful atmosphere enjoyed by the participants inside. The first day was devoted to implant prosthodontics, but a wide variety of subjects was covered on the 2 following days and involved the active participation of some 80 members. A well-attended social program added to the success of the outstanding meeting. At this meeting, the presidential badge was passed to Jack Preston, who outlined his plans for the 1995 meeting. A commemorative gavel was presented to Peter Scharer. The sixth meeting was held in collaboration with the Association of Prosthodontists of Canada in July 1995 at the Del Coronado, San Diego, California. The Executive Committee convened before the meeting for 2 days of hard work and difficult decision-making. Until then, the dedicated members of this committee had personally borne most of the costs of their offices. The Executive Committee traditionally met each year in Chicago at a time corresponding with the Chicago Midwinter meetings; modest compensation for expenses was offered to those whose only purpose for the trip was the meeting of the Executive Committee. Nevertheless, the international representatives on the committee incurred considerable expense in attending, and it was therefore decided that a full gathering of the committee would be required only for making major policy decisions that could not be postponed until the biennial meetings. The committee felt that by using telephone and fax, and conference calls if necessary, the frequency of its meetings could be reduced. Among other actions taken by the Executive Committee in San Diego was the decision to appoint two presidents to share the office for the following 2 years, and to continue that arrangement during the subsequent 2-year period. An executive secretary was also appointed to run the day-to-day affairs of the college and to make conference arrangements. This meant that for the first time the college would have a permanent, professionally staffed office. The conference was opened by the president, Jack Preston. Topics covered at this meeting included esthetics, ceramics, implant prosthodontics, and preprosthetic surgery, and were delivered by informed and prominent speakers from more than a dozen countries. There was also an excellent trade show. A wide-ranging and stimulating program, arranged by the Scientific Committee, was well attended; this was noteworthy in view of the numerous attractions that might have tempted the delegates outside the conference center. At the conclusion of the meeting, the presidential badge was passed to George Zarb and Takao Maruyama. The seventh meeting was held in October 1997 under the co-presidency of George Zarb and Takao Maruyama. Malta may be the cradle of the Mediterranean, but it is far from being the easiest destination to reach. It was therefore a pleasant surprise to find that both the scientific program and the number of attending delegates far exceeded expectations, and, indeed, reached the limits of capacity. Noteworthy were the delegations from Korea and Japan, while those from as far away as New Zealand and Australia complemented the number of North American and European colleagues. The meeting was again preceded by 2 days of Executive Committee deliberations. The financial state of the college was pronounced healthy, and an agreement was made to continue the college's working relationship with Quintessence Publishing Co, Inc, for the publication of The International Journal of Prosthodontics. The new relationship provided the college with a far greater say in editorial appointments and guaranteed the inclusion of the newsletter and college business at the discretion of the editor-in-chief and the college representative. The scientific meeting consisted of focus sessions with keynote speakers and an impressive number of 15-minute presentations by college members. These short papers were noteworthy for the care taken in their preparation, the quality of the presentations, and the preciseness of the timing. The poster sessions were also of remarkably high quality. Abstracts of the meeting were published in The International Journal of Prosthodontics in January 1998 - an impressive display of speed and efficiency. The trade show proved to be both popular and informative. Each of the college biennial meetings has been unique, but they also have shared common features. These gatherings have produced exceptional dialogue and cooperation between the world's prosthodontists, and have sown the seeds of many combined projects. Now that the college is so well established, its efforts will be visible in the period between its biennial meetings. It is hoped that the ICP will soon be in a position to assist in setting standards, providing guidance in prosthodontic education and advice in research, and guiding the specialty through the 21st century. Stockholm may be referred to as the 'Venice of the North', and 'the Jewel of Scandinavia'. It amply lived up to both reputations, for with the sparkling sunshine and the long daylight hours the venue was magnificent. Some 160 presentations and 87 poster presentations were made with a truly international attendance that spanned the globe. Focus sessions were devoted to the 'Longevity of Prosthodontic Treatment' and 'Prosthodontics Without the Glitz'. Well over 300 participants attended, making the social functions highly successful. One evening we embarked for a boat trip around the Stockholm archipelago, witnessing fortifications built to resist attacks of enemies long since past, followed by a visit to the Stockholm Vaxholm Castle where we were piped in to a splendid dinner within the castle walls. The ICP farewell and Awards Banquet was held in Stockholm's famous Golden Hall, the site of the Nobel Award ceremony. This magnificent room, with walls entirely covered with handmade mosaics, is truly golden, as they are formed from gold foil pressed between two layers of glass. The crockery alone was worthy of display in a museum and the food lived up to expectations. The 8th ICP meeting attracted more abstracts, from more countries, than any previous gathering and the Joint Presidents Gunnar Carlson and Bernard Smith are to be congratulated, together with the Programme Co-Chairman Brian Monteith and Terry Walton. The omens for our first meeting in the Southern Hemisphere did not bode well. Just two months before the atrocities of September 11th 2001 had not only shocked the world but also paralysed air transport. It is a tribute to the organisers and to the resilience of Prosthodontists worldwide that the attendance of the Sydney meeting was around 400 and that cancellations were remarkably few. Those who travelled half way round the world were not disappointed. The conference hotel was spectacular, the organisation immaculate, with a wide variety of programmes that kept all Prosthodontists interested. There were in fact some 171 oral presentations and 83 poster presentations together with a mixture of tours and social arrangements to tire even the most energetic delegate. The oral presentations were divided into groups with focus sessions held in the main auditorium. Later on the audience could divide and select one of a number of concurrent lectures. The opening session attended by all the delegates set the tone. Michael MacEntee looked at the past with a degree of insight and humour of which his Irish ancestors would have been proud. The session's concluding paper addressed the future and was delivered by George Zarb in his inimitable erudite manner, this time augmented with digital audiovisual aids. In between, Dr Mautsch explained the problems of treating patients in areas of conflict, while the other three papers by Drs Owen, Spenser and Phantumvanit, dealt with the problems of making Prosthodontics available on a worldwide scale. The accent was upon simplification of techniques rather than developing evermore sophisticated and expensive measures of replacing missing teeth. The animated discussion that followed was a portent for the entire meeting. Every one of the scientific sessions was well attended and the social programme was an outstanding success, with the finale held in the Sydney Opera House, a truly magnificent building with breathtaking views. As we walked back to the hotel with the strains of 'Tales of Hoffman' still fresh in our ears the unanimous decision was the future of the College was bright and that this was one of the best ever meetings. The 10th meeting of the ICP reaffirmed the College as a truly international organisation. It also highlighted the problems of arranging such meetings where most of the participants have to travel considerable distances. The Sydney meeting overcame the problem of 9/11 and the Halifax meeting overcame the worries of SARS that was of such concern to those planning to travel to Canada. Some 400 members and guests gathered in this unusual venue. It transpires that it was an excellent choice, with a comfortable hotel on the waterfront, with splendid conference facilities. This was backed up with a complete and enjoyable social programme and excursions. Members of the College were joined in the conference and social events by members of the Association of Prosthodontists of Canada. The Association, an Organizational Member of ICP, held its annual meeting in conjunction with the conference. On Tuesday 8th and Wednesday 9th the ICP Board of Councillors met for deliberations and registration was open on the Wednesday afternoon. Under Co-Presidents Yasumasa Akagawa and Patrick Lloyd the delegates gathered for an early 7 o'clock continental breakfast on Thursday, followed by keynote presentations to the entire assembly. Bruce Baum set the scene with a thought provoking presentation on gene therapy and its effects upon dentistry. Ken-Ichiro Hata spoke on the advantages of tissue engineering for replacement of oral tissue, bone and tooth. Robert Wright spoke on computer assisted implant placement. Following the Conference Luncheon delegates split into two groups, the first of which dealt with International Prosthodontic Training, and the second the Toronto Summit that covered the ground of the previous Osseointegration Toronto Meeting. This was followed by a well-attended Welcome Reception. The Friday session was extremely busy, with parallel sessions covering Implant Prosthodontics in Room A and a General and Fixed Prosthodontics in Room B. For the first two hours of the afternoon delegates examined no less than ninety-two poster presentations all to a very high standard. Having changed into somewhat warmer clothes, delegates then departed in a fleet of buses for Lunenburg, a picturesque town of historic importance an hour and a halves drive from Halifax. As if to remind members of the vagaries of Atlantic coast weather we were treated to a downpour that restricted the view but could not dampen the enthusiasm of our group for enjoying a memorable evening, while depleting the lobster population of North Eastern Canada. By now delegates were familiar with a 7 o'clock breakfast and Saturday started with concurrent sessions on Geriatrics and Removable Prosthodontics in one room and Occlusion and Oral Physiology in the other. Both were well attended. The ICP lunch served to illustrate the strengths of our organisation and members were delighted to learn of the rapid growth in numbers and satisfactory and stable financial basis. In the afternoon concurrent sessions dealt with dental materials and implants. The ICP Banquet and Reception was held at Pier 21, which was the Ellis Island of Canada. Countless immigrates have passed through its doors including some ICP members. The Pier, illustrated with memorabilia, reminded us not just of the immigration to Canada, but of the strategic importance of Halifax, being one of the closest points to Europe, with one of the world's largest natural harbours from which so many convoys have set sail in previous conflicts. Pier 21 was the scene for a lavish banquet well in the traditions of the ICP. Our incoming Presidents Aris Tripodakis and Michael MacEntee were formally introduced at this gathering. Sunday July 13th featured keynote presentations only, with the focus on Current Controversies in Implant Prosthodontics. A well-attended session followed by lively discussion concluded three successful days of deliberations that had involved some 170 presentations of one form or another. Eben Yancey and his staff of RES,Inc., the scientific contributors, sponsors, ICP committee members and a special mention for Doug Chaytor and local workers who are to be congratulated as well as thanked for their hard work in bringing the ICP yet another success. The theme of the 11th meeting of our College was the "Architecture of Prosthodontics", an appropriate title for a gathering of scholars in Greece where many of our concepts on aesthetics and facial beauty were developed several thousand years ago. There were more than 500 ICP members in Crete, representing more than 50 countries. Clearly it was an international gathering of collegiality and friendship gelled by conversation, dancing and song late into the early hours of the morning. Yet each opening session in the huge convention centre was full almost to capacity to hear the keynote speakers. The first session was dedicated to Professor Peter Schärer, one of our Founders and a Past-President who died recently. Peter was Professor of Prosthodontics in Zurich, and a major stimulus in the College. Each session, whether to hear a keynote speaker or one of the many superb lectures by our colleagues, was attended with enthusiasm despite the allures of the swimming pools, the beach and nearly perfect temperatures. The posters and table clinics displayed by an unprecedented 190 presenters gave opportunity for our young and seasoned colleagues and students to show their clinical and research achievements in a spirit of discourse and enquiry. The enthusiasm during every session was remarkable and on occasions almost palpable. Supplementing the gatherings in the convention centre were the elegant displays offered by our sponsors, both big and small, who provided information on old and new products and hinted at new developments. The social program was stunning as usual. We opened the meeting with a gathering overlooking one of the many swimming pools in the convention complex. The following evening, we traveled by bus for a guided tour around the ruins of the Minoan palace of Knossos where the legendary Minotaur was contained in the Labyrinth. Fortunately, we did not encounter the Minotaur! After that we went to the nearby village of Archanes in the hills for food, wine, singing and dancing in the village square where we saw for the first time how Cretan music moves the feet of Irishmen, Japanese and Australians, and everyone else in the most extraordinary abandonment. It was a remarkable display of nationalistic vigor from all of our member-groups! On the last evening, the ICP formal reception and banquet was as expected-elegant and rowdy- and did not end for some members until the dawn drove them to bed in preparation for the final scientific session a few hours later. And, as always to the speakers' surprise, attendance at the final scientific session on Sunday morning was again filled nearly to capacity. I don't think we exaggerate when we report that everyone-even a few babies- had a very enjoyable time. The principal lesson we learned whilst holding hands in a circle during the Greek dances was never break the circle, and we think this a fitting contribution to the ideals of the ICP. The 12th Meeting of the ICP was held in Fukuoka, southern Japan, under Co-Presidents Kiyoshi Koyano and Regina Mericske-Stern. Known as the 'Gateway City', Fukuoka is closer to Shanghai than to Tokyo and just a three hour ferry ride from Pusan, Korea. This thriving city complex of some 5 million people is positioned on the northern extremity of Japan's southern volcanic island. For two days before the Meeting Councillors and Officers had been hard at work with their deliberations, oblivious to the incessant rain. As if by magic the skies cleared as delegates began to arrive for the conference. The blue skies proved a portent for things to come. Nearly forty countries were represented including a welcome delegation from nearby China. The Scientific Programme, chaired by Steven Eckert and Jaime Gil, was equally broad in scope with 75 Oral Presentations and 104 Poster Presentations, plus 15 Young Prosthodontist Poster Presentations, all of a very high standard. These Poster and YPA competitions were so closely matched in quality that the Scientific Committee was hard pushed even to make a short list to simplify the tasks of the hard pressed judges. The First Place for the YPA was awarded to Ben Lee and the Second Place was awarded to Matjaz Golobic, both excellent presentations. The First Place for the Poster Awards was presented to Anthia Bakopoulou and the Second Place awarded to Dubravka Knezovic. George Zarb, Past President, and stalwart member of the ICP, opened the Scientific Programme with an address entitled 'Prosthodontics at a Crossroads' while another ICP stalwart and Founding President Harold Preiskel, provided the closing address entitled 'Prosthodontic Paradigms'. Both the opening and closing mornings were concentrated in one lecture hall while during the rest of a very busy conference delegates could choose between one of two parallel sessions. The timekeeping proved to be immaculate, a testimony to the skills of the speakers and of the Co-Chairmen. While implant prosthodontics occupied much of the allocated time conventional prosthodontics was not overlooked. A well attended and important Focus Session devoted to Evidence Based Dentistry aroused a lively and fruitful discussion. The social events were marked by originality and attention to detail. Our excursion to a nearby shrine and to the National Museum was topped by a splendid dinner - the first of its kind to be held in the stunning architectural surrounds of this modernistic building. Delegates were enchanted not only by the exquisite food, but by the dancing of delightful Japanese children followed up with a breathtaking example of drum skills and technology. Towards the end of the proceedings delegates were seen to be dancing in line to the tune of Japanese rhythms clapping specially produced wooden spoons above their heads. Small wonder that it took all the skills of the Co-Presidents to persuade the delegates to go back to their hotel. The formal banquet followed traditional lines, but with Japanese food and Japanese entertainment. It was only during the speeches that we learnt that our Co-President Kiyoshi Koyano had such close relationships with both the Mayor and the local High Priest. Post conference excursions included a trip to Hita, to witness the charm and architecture of 'old Japan', followed by a traditional Japanese meal served on a flat-bottomed boat, and a three day excursion to Kyoto via the Bullet Train. New Presidents, Jaime Gil and Iven Klineberg were duly installed and the ever strengthening ICP looks forward to its next gathering in Cape Town. The 13th Biennial Meeting of the ICP was held in Cape Town South Africa under the Presidencies of Iven Klineberg and Jaime Gil, between September 10th and September 13th, 2009. Pre-conference deliberations of the Council took place while the hotel was battered by high winds and rain accompanied by low cloud. Then, like a happy omen, the skies cleared to a brilliant blue as delegates arrived at The Westin Hotel marveling at the spectacular views of Table Mountain on one side and the Atlantic Ocean on the other. The morning of Thursday September 10th was devoted to young prosthodontists who have made an ever increasing impact upon the biennial meetings. Some 400 delegates from 41 countries enjoyed the sounds of African girls singing in perfect harmony to open the main proceedings. A welcome novelty to the lecture arrangements was the introduction of a session devoted to maxillofacial topics that proved popular. This required three parallel lecture sessions for half a day but any fears about attendance were quickly allayed as all the lecture theatres were thronged despite the siren like temptation of the magnificent country and the blue skies outside. Younger prosthodontists produced a staggering, record breaking, 130 poster presentations of exceptional standard thereby providing the judges with an unenviable and daunting task. 74 lectures were delivered in 10 sessions with moderators chosen from senior colleagues featuring many a Past President. Program Chairs Nicola Zitzmann and Sree Koka are to be congratulated on producing a comprehensive, innovative, and eclectic range of lecture topics with carefully selected speakers. Devoting a session to gender difference of prosthodontists was a brave step indeed and admirably addressed by Rhonda Jacob and Brian Fitzpatrick with a great deal of common sense and humor. The rapid development of digital technology featured prominently throughout, with a clear message that these new approaches provide the means to change the practice (but not the principle) of the specialty as we know it. Traditionally the last session of the conference suffers from poor attendance as the after effects of the previous night’s festivities and the need to return home take their combined tolls – but not in Cape Town. The full room bore eloquent testimony to the reputation of the speakers and the topics selected. As for the night before the beat of African rhythmic music proved so infectious that young colleagues, together with those young at heart, surprised waitresses and possibly themselves as the evening progressed. It was a truly memorable banquet. Other social activities were not overlooked and were extremely well supported. These included a magnificent trip around the scenic Cape Peninsular and the Cape of Good Hope, tours around the city including Table Mountain together with an ascent to admire the spectacular vista, and a wine tasting journey visiting some of South Africa’s marvelous wineries. Finally an elective Post Conference Safari in the Shamwari Private Game Reserve was well supported. The 13th Biennial Meeting has demonstrated not simply the growth of the ICP but also its maturity and ever growing international influence. The mention of Hawaii conjures visions of a Polynesian island surrounded by gently swaying palm trees in a cooling breeze, an azure blue sea, and clear skies. Any delegate attending the 14th Biennial Meeting of the International College of Prosthodontists in Hawaii expecting to find this classical image would not have been disappointed. Main Island also featured active volcanoes, while at our conference venue dolphins cavorted in a lagoon, together with numerous other attractions that might have caused many a distraction to those attending the Meeting. This fear proved unfounded as the Officers and Councilors worked diligently for two days before the meeting started on Wednesday 7th and 8th September. Some 430 delegates resisted the siren call of the beach to attend the opening Focus Session on Friday September 9th under Co-Presidents Thomas Taylor and Sang-Wan Shin who also served as Moderators. Hawaiian dress code ensured no ties were to be worn (or even jackets) under threat of dunking in the swimming pool. A resounding Hawaiian welcome, somewhat intimidating in its intensity, greeted the participants before the opening presentation. Following lunch Concurrent Sessions commenced, a format that ran throughout the Meeting apart from the final Focus Session. Scientific Program Co-Chairs Drs Joerg Strub and Jung-Suk Han had put together a carefully selected and wide ranging program of some 84 individual papers. A session devoted to maxillofacial prosthetics that had been instituted at our Cape Town Meeting was continued, and proved both popular and successful. The final Focus Session on Monday September 12th was a series of Keynote Presentations devoted to the future of Prosthodontics. The Poster Presentations were of an extremely high standard, a record number of 182 titles admitted. Sadly, not all the Chinese delegates were able to attend although the 35 who came were a very welcome addition to our ranks. Our social functions included a Young Prosthodontic Educators’ evening, a Welcome Sunset Reception by the Kona Pool on Friday 9th and an unforgettable Big Island Hawaiian Luau with exotic Polynesian and Hawaiian dancers on Saturday evening. The traditional ICP Reception and Banquet was a great success, the surprising stamina of the delegates illustrated by the large number who were able to attend the early morning lecture the following day. Martin Gross and Yoshinobu Maeda were installed as our new Presidents and our outgoing Presidents Thomas Taylor and Sang-Wan Shin are to be congratulated in carrying forward the International College of Prosthodontists to yet further heights. Once again Eben Yancey and his team at RES are to be thanked for the organization and running of an extremely successful meeting. The 15th Biennial Meeting was held in Turin, Italy, from September 18th and 21st 2013 with participants gathered from all sections of the globe. Turin, basking in beautiful autumnal weather, was a scintillating mixture of old and new. Turin was first established almost 2,400 years ago by a Celtic tribe. Torino (Turin) derives its name from the Celtic word ‘tau’ which means mountain. In recent years Turin has taken centre stage having held major international events including the 2006 Winter Olympic Games. The Lingotto Congress Centre, the premier convention venue in Italy, provided excellent conference facilities. It was once the building that housed the famous Italian automobile company Fiat. In 1923 Fiat designed the innovative production line with five floors. Raw materials were delivered at the ground floor with cars built on a line that went up through the building. Finished cars emerged at rooftop level where there was a rooftop test track that still exists today. The ICP were delighted to have the opportunity to collaborate with the AIOP, the Italian Prosthodontic Association, together with our Italian colleagues from the Italian universities. The programme was one of the most intense of any ICP gathering including 90 lecture presentations of which 38 were invited speakers. Enthusiasm for the opening and closing sessions held in the main lecture hall required the use of overflow facilities due to the large attendance of over 700 delegates. Apart from these two sessions, triple concurrent lectures were arranged with each session dedicated to a particular theme. The timekeeping was exceptional, a testimony to the speakers and the Co-Chairmen. A record breaking 250 poster presentations were available, the trade show was full and there was lively discussions and conversations both in and outside the lecture hall. The conference was preceded by the Meeting of Council and an industry session on September 18th sponsored by GC. Presidents Martin Gross and Yoshinobu Maeda were Moderators of the first Focus Session ‘Clinical Outcomes – Evidence Based Dentistry’. Following an original musical episode, Torsten Jemt impressed the audience with his experience of no less than 40,000 implants over some thirty years beginning two and an half days of concentrated exchange of information. The social events were equally intensive with the customary Registration and Welcome Reception followed by the Young Prosthodontic Educators’ Group who were invited to meet for a ‘class reunion’. The ICP Reception and Banquet was held in the Palazzina di Caccia di Stupinigi, a hunting lodge along the lines of the Palace at Versailles with grounds that are even bigger – an exceptional venue. As is our normal custom the presentation of awards, and recognition of participating countries was a major feature of the event. During the Conference daily Spouse/Guest Tours were arranged and the ICP Social Outing to the Fontanafredda Winery in the beautiful Langhe Valley proved to be popular and successful. Further post conference tours were arranged to the Stresa and Maggoire Lake, Alba and even a tour of Royal Residences. Rhonda Jacob and Peter Owen were installed as our new Presidents and our out going Presidents Martin Gross and Yoshinobu Maeda are to be congratulated on their contributions to the ICP and in projecting the organisation into new and exciting fields of Prosthodontics in the forthcoming digital era. We extend our thanks to our enthusiastic and innovative local arrangements team and once again to RES services for bringing the plans to fruition. Between September 17th and September 20th 2015 some 650 delegates from 46 countries gathered in Seoul, Korea under the presidencies of Drs. Rhonda Jacob (USA) and Peter Owen (South Africa). Blue skies heralded the 16th biennial meeting of the International College of Prosthodontists, but remained unseen by members of the Council who had been hard at work days beforehand. While the format of the meeting followed the traditional approach, several developments highlighted the evolution and ever growing strength of the College. For the first time electronic pre-submission of the extensive poster displays allowed the judges foresight thereby aiding selection and grading. This proved highly successful. The challenging and intricate schedule of some 135 oral presentations ran smoothly thanks to the discipline and experience of the lecturers together with the skills of the moderators. The lecture schedule commenced and concluded with a session in the main lecture hall delivered to the entire group. Three simultaneous presentations were available for participants throughout the rest of the meeting so that delegates were spoilt for choice. The remarkably high standards set by the oral and 119 poster presentations were commented upon by all who attended. Poster prizes were increased to ten, but even then the committee were hard pressed to make their selection. For the first time these prizes were sponsored, with a generous grant from Ivoclar that included monetary awards for all ten. Record breaking corporate support and the announcement of a strong financial situation bore eloquent testimony to the ever growing influence of the ICP and the confidence our trade partners demonstrate in our organisations. The announcement of a new initiative by Ivoclar, of a $40,000 grant for a research fellowship further cements this relationship. In addition the College has used its own resources to embark on educational endeavors and a research grant programme to encourage researchers from middle-and low-income countries. The venue, the Coex Conference Center was an ultra-modern conference complex adjacent to a new hotel under which was effectively an underground city. Every possible facility was available within easy reach. Seoul is a thriving modern city with impressive thoroughfares and an even more impressive volume of traffic. Social aspects were well planned and popular. From the ‘Welcome Reception’, through a visit to a Korean Village (with suitable entertainment) until the concluding banquet, animated and enthusiastic discussions continued well after the official proceedings were over. Some must have struggled the next morning, but attendance at lectures never faltered. Quite apart from additions to their knowledge delegates took away memories of warm and generous Korean hospitality and a desire to return. Officers of the ICP can be justifiably proud of the success of their endeavors, but no meeting of this size and complexity could be run without superb professional support. The ICP extends its thanks to Eben Yancy and the RES team for their meticulous attention to detail throughout. Santiago Chile hosted the 17th Biennial Meeting of the ICP, held in conjunction with the Chilean Prosthodontic Association. Between Sept 6th and 9th some 600 colleagues gathered to exchange knowledge, form friendships and renew existing relationships. Days before members of the board had been hard at work investing both time and effort in ensuring the smooth running of the College now and in the future- no small task in an organisation representing more than 80 countries. Co- Presidents Brian Fitzpatrick and Mario Bresciano together with committee members are to be congratulated. From the outset, the buzz of animated discussions suggested that this was going to be a meeting to remember. It certainly was! The theme of the conference was ‘Less is More’ epitomized by the opening presentation by Frank Spears who could not be present but sent a beautifully illustrated recorded lecture. He was available for questions by satellite link at some unearthly local time for him. The pattern of presentations followed the established scheme with a single opening session subsequently dividing into three parallel sessions. Any concerns that some of the parallel sessions might not be well attended quickly evaporated: it was standing room only quite frequently. The last session on Saturday morning reverted to the opening arrangement and was just as well attended, a tribute to the quality of the lecturers and the enthusiasm of the audience. Implants figured prominently in the program as to be expected, but it was encouraging to note that conventional prosthodontics was not ignored. Naturally presentations showed marked differences in what was considered ‘Less’ yet the diversity added zest to the gathering. As usual, lively discussions could be heard outside the lecture hall symbolizing interest, enthusiasm and a complement to Dean Morton, Program Chairman. With 115 oral presentations concentrated into a short period, it was a remarkable achievement that few sessions ran late. Poster presentations were reduced in number, but not in quality, giving the judges a difficult task. The involvement of Ivoclar in sponsoring research is acknowledged with thanks.